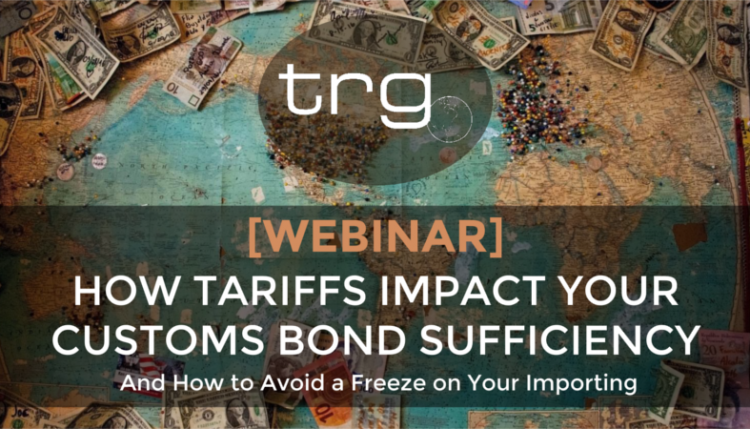 In a new webinar from Trade Risk Guaranty, the intricacies of bond sufficiency and how the Section 232 and 301 tariffs impact it are explained. The topic of bond sufficiency is a widely misunderstood one throughout the international trade community. There are so many intricacies throughout the topic that it is easy to spiral into one nuance after another without ever feeling like you have a full grasp on it. In the past, the majority of importers were able to widely ignore the topic and it never really came to be a problem since a 50k U.S. Customs Bond was sufficient to cover their importing practices. 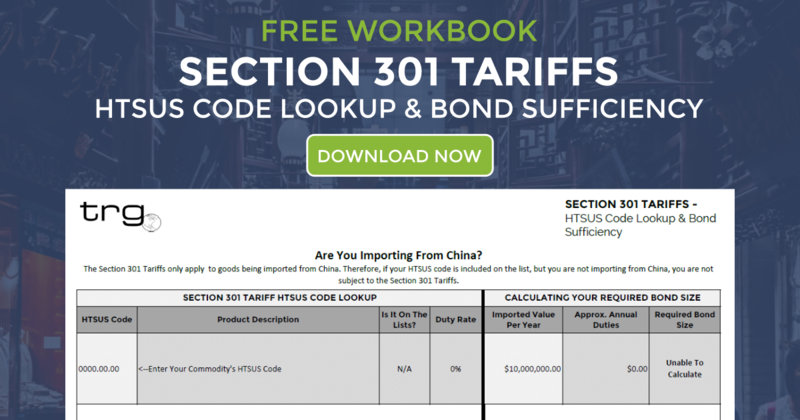 However, with the recent Section 232 and 301 tariffs many importers have quickly reached the capacity of their bond and have needed a to increase their bond amount in order to continue importing into the United States. 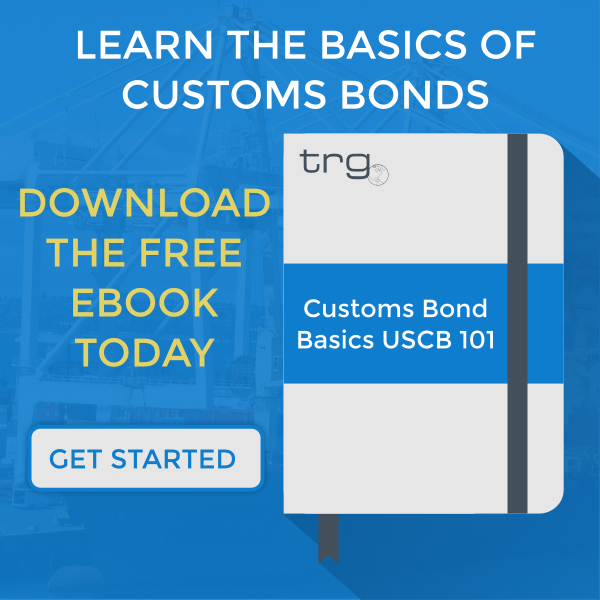 To help importers navigate the confusion surrounding bond sufficiency, the Underwriting and Claims team at TRG have put together a presentation intended to give you insight into how a Customs Bond works and how to ensure you are prepared for any increase. What Happens When your Customs Bond is Insufficient? What is Stacking Liability on a Customs Bond? To be notified as soon as a new video is released, subscribe to our YouTube Channel.